Attendees can meet the cast of popular series like "The Walking Dead," "Doctor Who," "The Gifted" and more. 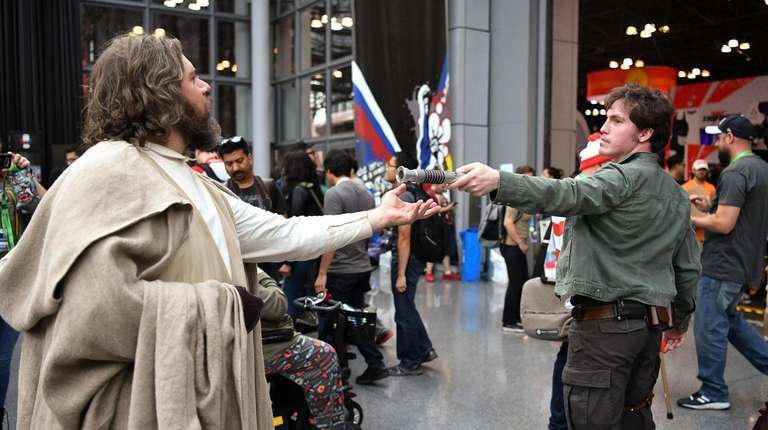 The world’s biggest crossover event kicked off in Manhattan on Thursday as fans of comics, science fiction, fantasy and animé gathered for New York Comic Con. The four-day pop-culture extravaganza includes appearances from television and movie stars, sneak peeks at new shows and collectibles and face time with acclaimed artists who bring superheroes to life. Many of the attendees take their fandom to the next level, dressing as their favorite characters with intricate costumes. 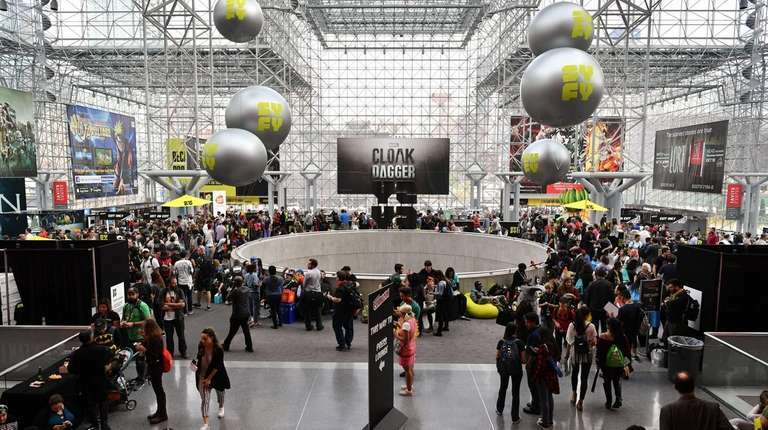 While it is centered at the Javits Center, Comic Con has expanded to events and panels at the Hulu Theater at Madison Square Garden, the Hammerstein Ballroom and other venues. 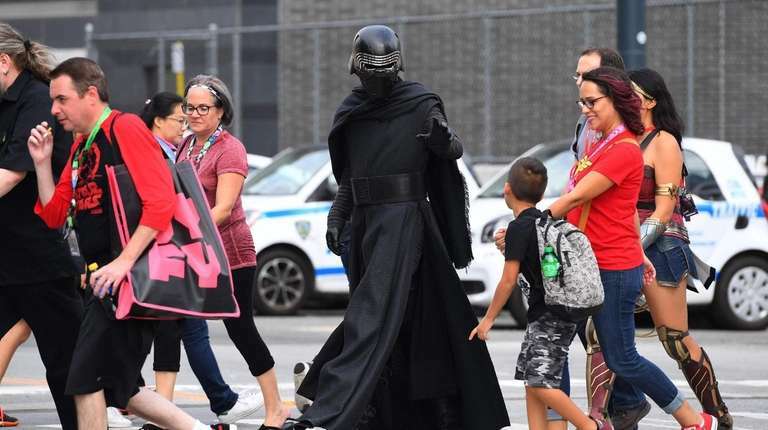 More than 200,000 people attended last Comic Con last year, more evidence that so-called “geek culture” is now firmly part of mainstream America. “The New York Comic Con is a vibrant Circus Maximus with just about everything for everyone,” said Peter J. Tomasi, a writer at DC Comics who has crafted storylines for Batman, Aquaman and other beloved characters. “It’s a great place for fans and creators to share their passions on so many different storytelling genres,” said Tomasi, who will discuss his new graphic novel “The Bridge,” about the Brooklyn Bridge, at a panel on Saturday. Cast members from television shows including “The Walking Dead,” “Riverdale,” “Outlander,” “Gotham” and “The Gifted,” will dish on their new seasons. Fans of “Doctor Who” will get to see several old favorites as well as Jodie Whittaker, the first-ever female to take the lead role in the classic series. Actor Mark Ruffalo, who portrays the Incredible Hulk/Bruce Banner in the “Avengers” films, will make his first official appearance at Comic Con. Several years ago he donned a costume to attend the show incognito with his children. For the first time, Comic Con is hosting a separate, ticketed event devoted to Animé at Pier 94. Animé Fest @NYCC x Animé Expo is focused on Japanese culture, manga, food and J-pop. Armstrong said while animé is an important part of Comic Con, there is a demand for more activities and panels than they have been able to accommodate in the jam-packed show. Some of the Comic Con events will be open to fans with Animé Fest badges. Another new feature this year is The Studio@NYCC which presents writers, filmmakers and actors in a more intimate setting outside the Javits Center on West 39th Street. Screenwriter/producer Ronald D. Moore, whose credits include the rebooted “Battlestar Galactica,” “Outlander,” and “Star Trek: The Next Generation” is featured in one of the workshops Armstrong likened to “Master Class” type sessions. The Studio classes, which are separately ticketed, also give more people a chance to attend. Comic Con passes for Friday, Saturday and Sunday are sold out but some are still available for Thursday. Dressing up, known as cosplay, is serious business for many fans. And New York Comic Con is the place to show off their handiwork and network with each other. Attending Comic Con can be both exhilarating and exhausting. But there are plenty of perks. Fans can relax at the SYFY Wire Fan Lounge to recharge their phones, pick up free water and goodies, including custom-made T-shirts, and even decorate a giant puzzle wall. Sunday is family day with specially-priced tickets and activities for youngsters. If you go: New York Comic Con runs Thursday through Sunday at the Javits Center and other venues across the city. For more information, go to newyorkcomiccon.com.